Today is Edgar Allen Poe’s birthday, so what better way to celebrate than with Friday Fiction Facts? As I sit and write these opening sentences, I have no idea where this is going to lead me, so let’s just see what happens. We’ll start with Poe’s most famous poem and go from there. And the life of the ebony clock went out with that of the last of the gay. And the flames of the tripods expired. And Darkness and Decay and the Red Death held illimitable dominion over all. He is talking about tuberculosis, the disease that killed his young wife, Virginia, in 1847. 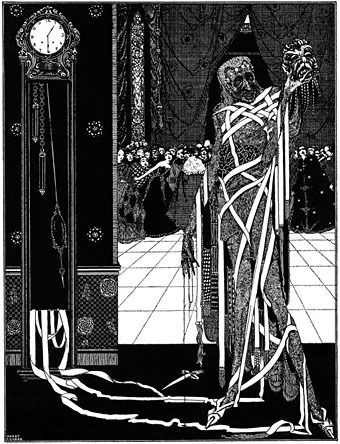 Some think he wrote “The Masque of the Red Death” as a way of expressing his denial of her illness. In fact, I no longer dared trust myself out of the immediate presence of those who were aware of my proneness to catalepsy, lest, falling into one of my usual fits, I should be buried before my real condition could be ascertained. When we reflect how very rarely, from the nature of the case, we have it in our power to detect them, we must admit that they may frequently occur without our cognizance. Scarcely, in truth, is a graveyard ever encroached upon, for any purpose, to any great extent, that skeletons are not found in postures which suggest the most fearful of suspicions. 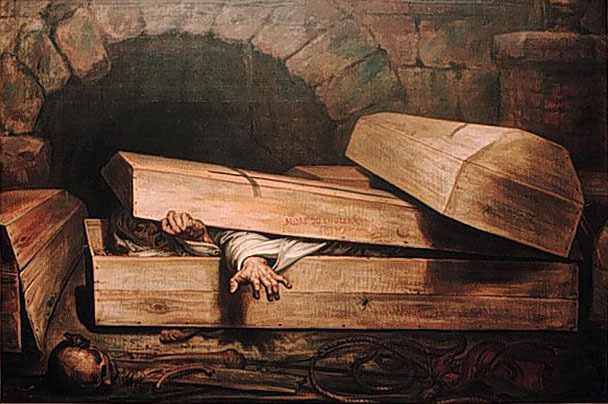 The term for the irrational fear of being buried prematurely is taphophobia (fear of graves). But before modern medicine, this was a common fear that was not entirely without merit. Doctors then didn’t always have the knowledge or medical equipment necessary to discern the difference between death and certain ailments. In addition, during outbreaks of smallpox and cholera, patients just weren’t looked at very closely. As such, there are many documented accounts (and probably just as many legends) of people being buried alive. Because of this, a whole industry sprung up around safety coffins, built with mechanisms that allowed the not-dead to signal passersby. Note: It is not true that phrases “saved by the bell,” “dead ringer” and “graveyard shift” come from the use of safety coffins. This story is a case of fiction disguised as fact. 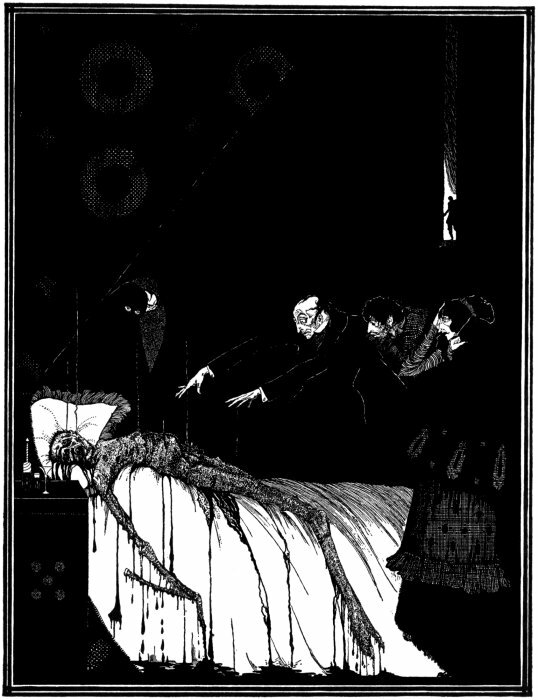 It appears to be (and was taken by many readers of the time) a true first person scientific account of a mesmerist who hypnotizes a man, Valdemar, just prior to his death, thus keeping open a line of communication with the dying man. The idea of “mesmerizing” a person was based on the theory of Animal Magnetism developed by German doctor Franz Mesmer (1734-1815). Mesmer believed there were invisible natural force exerted by animals that could have physical effects, including healing. From this grew the practice of hypnosis. 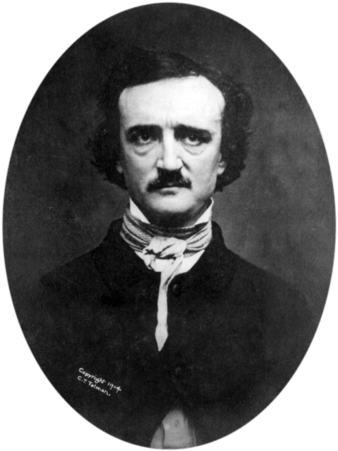 Mesmerism and hypnotism were hugely popular among the educated elite during Poe’s time and he was fascinated by the subject, writing several pieces that employed the theme. No person present even affected to deny, or attempted to repress, the unutterable, shuddering horror which these few words, thus uttered, were so well calculated to convey. Don’t you just love that! In any case, Poe finally had to concede he made the whole story up. It was just too good to be true.